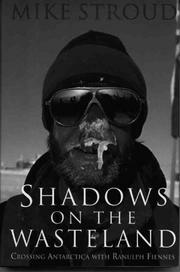  The story of an unsupported, near-lunatic, two-man trek across the Antarctic wastes becomes an occasion for Stroud (doctor and explorer) to pound his chest as he details the truly revolting putrefaction of his body and mind. Stroud is drawn to extreme environments, lands so awesome and treacherous and relentless in their cruelty, they make the hair stand up on your neck. The North Pole qualifies as such a place, and Stroud, with his companion, the respected explorer Ranulph Fiennes (see Ranulph Fiennes, Mind Over Matter, above), had made three hellacious--not to mention unsuccessful--forays into those parts. Then the South Pole beckoned. Why not a slog across the breadth of the continent with his friend Ran, he thought, pulling all he needed behind him in a sled? This would require a 100-day journey over 1,350 miles, with 500 pounds of provisions in tow, at the mercy of elements that made windchill days of 100 degrees below zero seem balmy. Stroud doesn't waste much breath on his motivations or, once they set down on the edge of the ice shelf, on much other than what happens to a body put under such stress. At the start things weren't too bad: the usual frozen toes and fingers, some minor bickering with his mate. They plodded on. Slowly the picture became less pretty: savage bouts with diarrhea, major weight loss, confusion, bitter fights with Ran. Despite dementia, blindness, and toes described as black bags of pus, they made it. They also paid the tax man: ``We had been crushed by the vastness of our journey, our muscles poisoned by the ice, the stench of rotting flesh added to our already evil body odors.'' More a horror story than an adventure epic. A little more delineation of landscape, or a closer look at previous Antarctic expeditions, would have been a welcome relief from this nonstop tale of woe.